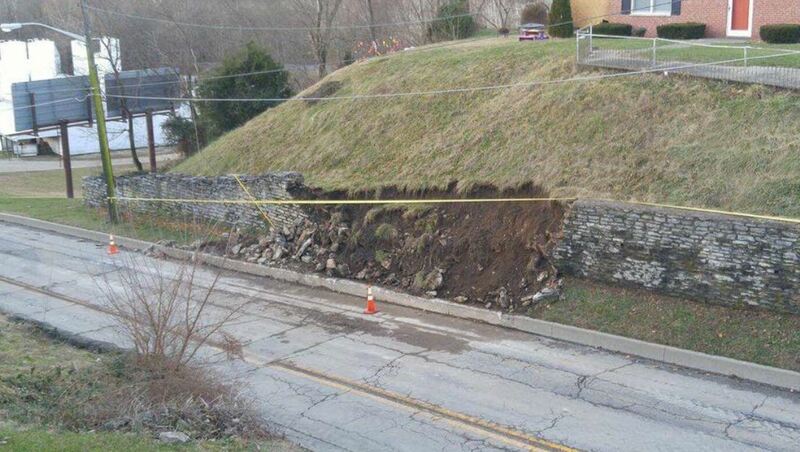 A 60 foot section of the limestone retaining wall on the West side of Main Street collapsed earlier this week, closing both directions of traffic on U.S.52/State Road 1/Main Street in Brookville. Although the dirt and debris have been removed, the Indiana Department of Transportation is keeping the road closed until further notice, pending further investigation by engineers. A short and well marked detour has been set up around the road closure.